In the beginning of the Longines Global Future Champions week the focus is on the Young Horses in four different age categories 5-6-7-8 year olds. Competitions are held on both grass and sand arena’s. With a total prize money of more then 100.000 euro’s for these three days it promises an excellent opportunity for riders, breeders, studbooks and visitors to come and compete or watch the equine talents of tomorrow. In the weekend the show jumping stars of the future get their very first chance to compete in Valkenswaard in classes for Ponies, Children, Juniors, Young Riders, Under 25 riders and enjoy the excellent facilities together with their families and friends.The Longines For the very first time this champions week will be organized July 15-17 and 19-21. In the beginning of the week the focus is on the Young Horses in four different age categories 5-6-7-8 year olds. Competitions are held on both grass and sand arena’s. In the weekend the show jumping stars of the future get their very first chance to compete in Valkenswaard in classes for Ponies, Children, Juniors, Young Riders, Under 25 riders and enjoy the excellent facilities together with their families and friends.Global Future Champions young horses champions week will be organized July 15-17. The focus is on the Young Horses in four different age categories 5-6-7-8 year olds. Competitions are held on 2 sand arenas. 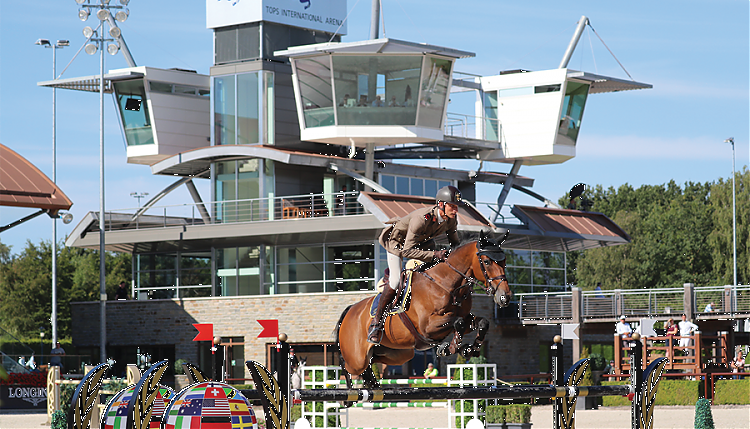 The three days it promiseses an excellent opportunity for riders, breeders, studbooks and visitors to come and compete or watch the equine talents of tomorrow.